Pivot62 in West Vail is spacious and comfortable, with a menu that is built around a wood-burning oven. 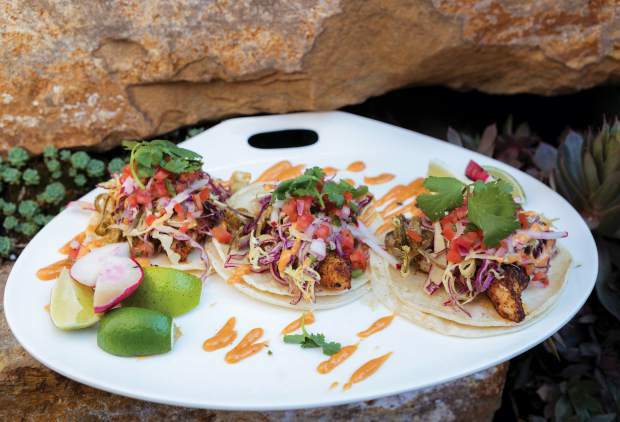 Bol's striped bass fish tacos are just one of the dishes now being served at the Vail Brewing Co. tasting room in Vail Village from noon to 8 p.m. every day. Two Arrows Coffee Company serves a variety of coffee drinks, including its house latte, pictured here. 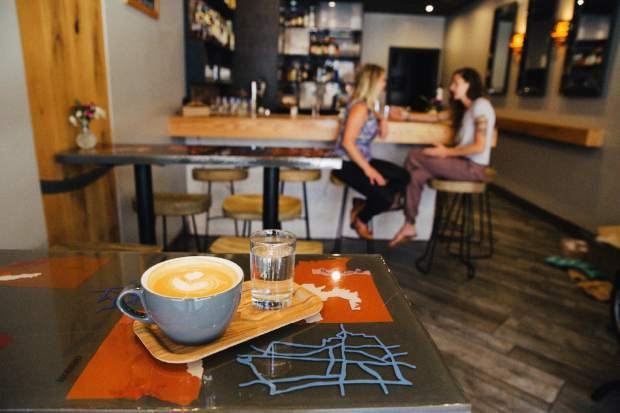 The new coffee spot is open daily from 7 a.m. to 3 p.m. The flavor of the bagels from Village Bagel in Edwards is developed gradually over three days. Village Bagel has evolved from its “pop-up” and “back door bagels” concepts to a brick-and-mortar storefront in Edwards. 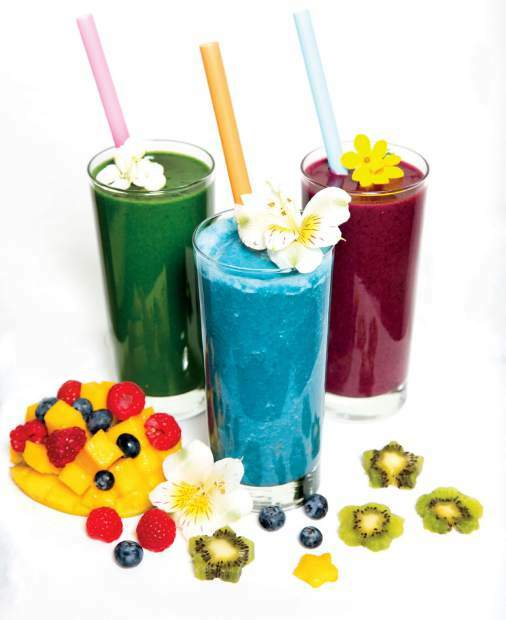 Fresh fruit and vegetable smoothies are now available at the new Green Elephant Juicery location in Village Market. 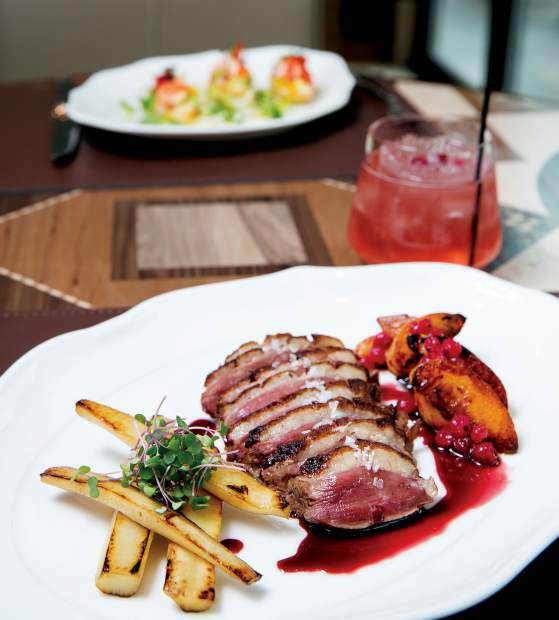 Pan seared duck breast, sauteed stone fruit, roasted salsify, black pepper and juniper berry wine reduction and the Tahone Margarita with patron Roca Reposado, lime agave syrup, Pama liqueur, Cointreau and sugar rim from Gessner, the restaurant in the new Hotel Talisa in Vail. Bacon avocado double cheeseburger on a homemade bun with all the fixings, garlic truffle fries and a cold beer from Benderz Burgers. The restaurant has moved from its original home inside Northside Kitchen to a location all its own in Avon. 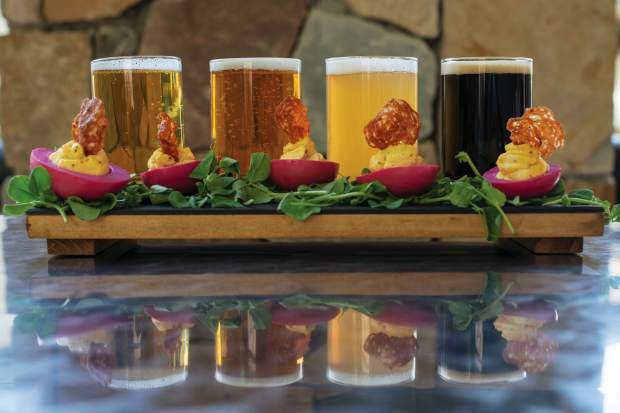 Townsend Bessent | Special to the Weekly The menu offered at the Colorado Tasting Room features shared plates with a fun Colorado twist, like this beer flight and picked beet deviled eggs pairing. Change is a good thing, especially when it comes to an area’s restaurant scene. As favorite mountain bars and eateries come and go like offseasons, it’s certainly nice when you can count on your favorites, but it’s just as great to try the fresh flavors in town. 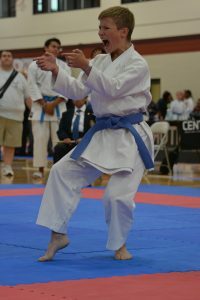 Here’s a roundup of some new tastes to sample. Take a visit and then decide where to devote your most recent allegiance. ▼ Two Arrows Coffee Co.
There’s a new coffee shop in Vail Village. Two Arrows Coffee Co. has started sharing a space with the well-known local wine bar Root & Flower. Two Arrows founder Lindsea Stowe has created the perfect spot for a morning boost, open every day this summer from 7 a.m. to 3 p.m., serving food from local purveyors and truly wonderful coffee. ▼ Bol at Vail Brewing Co.
Now you get some of Vail’s best beer and food in one spot. Bol food is now being served at the Vail Brewing Co. tasting room in Vail Village from noon to 8 p.m. every day. 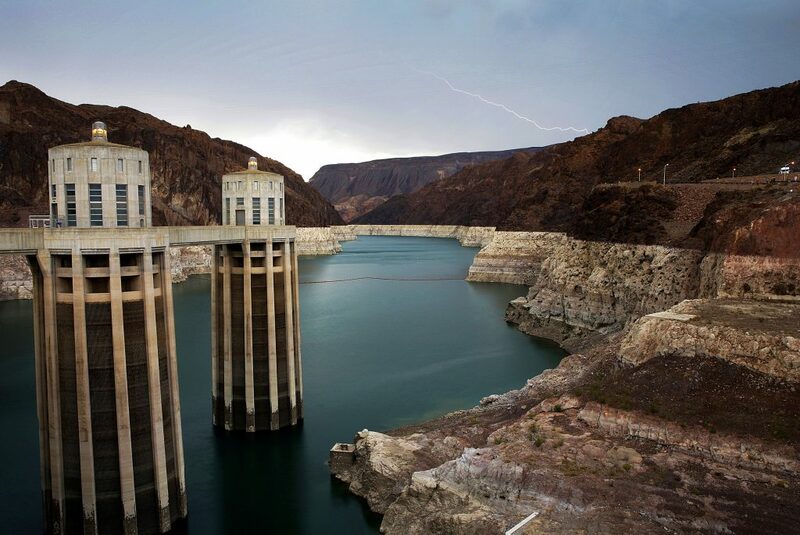 The hours for food will change seasonally. 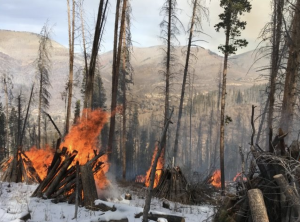 Locals and visitors alike can appreciate convenience in Vail, and the Lionshead General Store has what most people need on their way to work or for a day of outdoor play. From souvenirs and gifts to a diverse selection of groceries, the shop is open every day from 8 a.m. to 9 p.m. Grab staples to prepare in a home or vacation rental, from coffee, cheese and vegetables to frozen burritos and pizza. Open all day in the Hotel Talisa, Gessner is a three-meal restaurant that serves breakfast through dinner. From the intricate details and bold flavors of lobster crostini, to the hearty and delightful Colorado lamb chops, the modern play on Gessner’s legacy honors the beautiful and intricate elements of the European Alps that have become ever-present in this Rocky Mountain region. 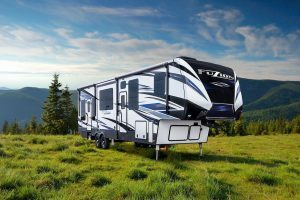 Located in the newly revamped DoubleTree by Hilton in West Vail, Pivot62 is spacious and comfortable, with a menu that is centralized around a wood-burning oven. Dishes are prepared from locally sourced ingredients to create elevated dishes for the entire family. 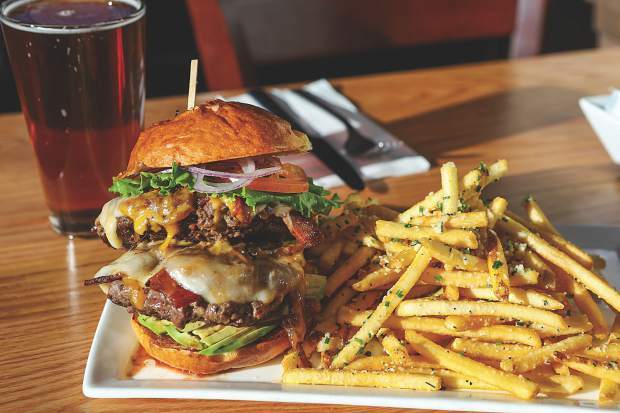 Now under new ownership, this pizza and burger pub has been a Minturn staple and is still serving up bar food for lunch, dinner and late night. Kipper Dorn and his wife, Sarah Biggs, have taken over the restaurant and bar, and everyone can rest assured that delivery is still available until midnight Sunday through Wednesday and until 2 a.m. Thursday, Friday and Saturday. Don’t miss the opportunity to try the first exclusively Thai restaurant to appear in the Vail Valley. While the menu at Thai Kitchen is somewhat small, it features all of the traditional Thai favorites. Try the crispy spring rolls and chicken Thai jeeb to start, along with an order of Massaman curry and pineapple fried rice. Customers may have their dishes prepared with shrimp, beef, chicken, tofu or mixed vegetables. Nothing beats a great burger, except, perhaps, a great burger and a cold beer on a sunny patio in the summer. Order it up at Benderz Burgers, which moved from its original home inside Northside Kitchen & Coffee to a location all its own in Avon that serves breakfast, lunch and dinner. This family-owned Mexican restaurant specializes in Mazatlan-style seafood and Mexican specialties. Open from 10:30 a.m. to 9 p.m., Sabor Mazatlan serves everything from huevos rancheros with chorizo to shrimp ceviche and steak. You may know Ekahi Grill from Gypsum, but now Avon has a piece of the Hawaiian cuisine. Located right beneath Seasons at Avon, diners can look forward to the same menu they’ve enjoyed from the original restaurant down valley, including volcano chicken. “At the new Avon location, expect the same outstanding food that we serve in Gypsum,” said Benjamin Alfaro, manager of Ekahi Grill. 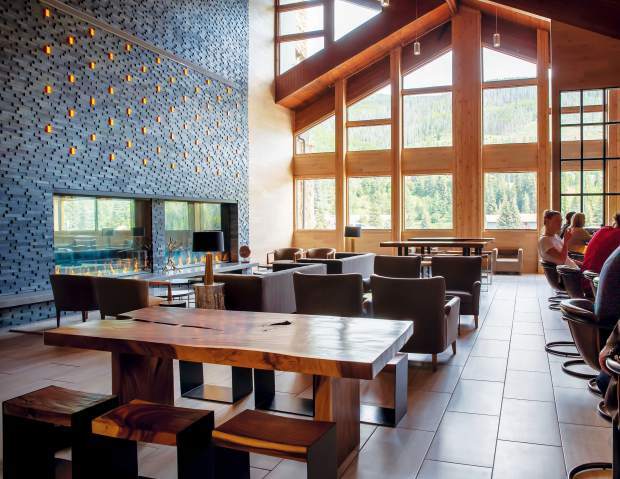 This new restaurant and bar in Beaver Creek is bringing in an all Colorado spirit, beer and wine lineup to create the complete Colorado tasting experience in one place. Located in the former location of The Metropolitan, the menu offered at the Colorado Tasting Room features shared plates with a fun Colorado twist and is open at 3 p.m. daily with happy hour from 3 to 5 p.m. every afternoon. Looking for your next bagel fix? 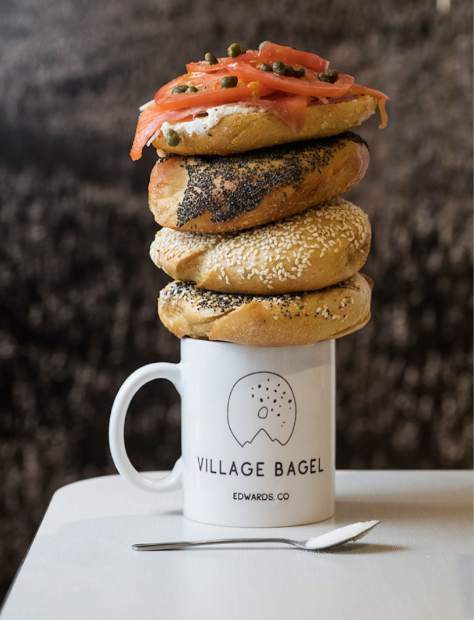 Village Bagel has a new location in Edwards, evolving from its “pop-up” and “back door bagels” concepts to a brick-and-mortar dream come true. Village Bagel is open daily at 7 a.m. “VB Pies” pizza, salads and sandwiches are also available. “The thing about our bagels — and any scratch-made baked good without chemical additives — is that they really are best enjoyed fresh, given their short life line,” said owner Connie Leaf. Healthy choices from Green Elephant are expanding in the valley. Green Elephant Juicery has a location in Avon and two in Vail, including a grab-n-go. Not there is another spot to pick up Green Elephant Juicery acai bowls, soups, wraps and other food options, as well as smoothies. “Our customers that live in Edwards are excited, and it’s our first location that’s very high traffic, so it’s really awesome to see so many more faces,” said Osha Groetz, Green Elephant Juicery partner, along with Matthew Stearns.